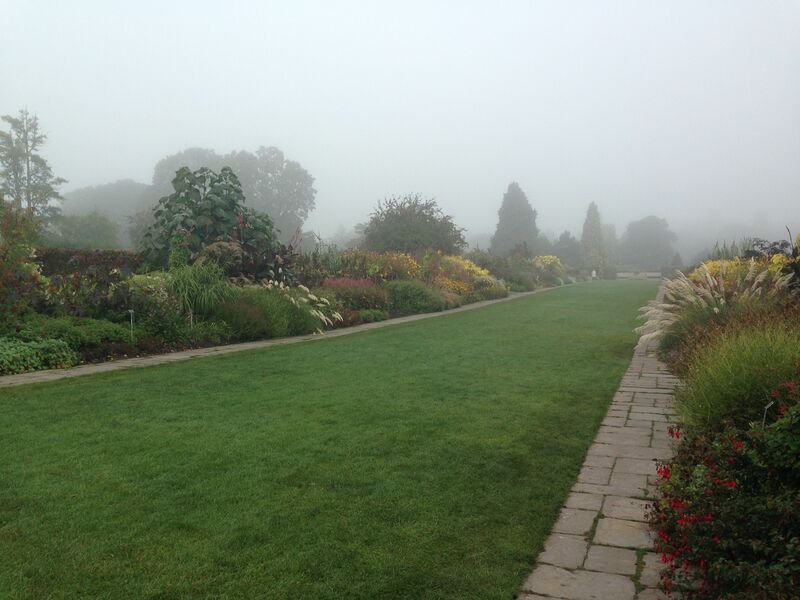 This morning I arrived at a very, cold, misty, autumnal Wisley for the launch of my Master of Horticulture. It is at moments like this that you feel extremely grateful to be able to connect with the gardens and gardeners of the UK but then scoot off to the sun and warmth of Sydney for the vast majority of your course! 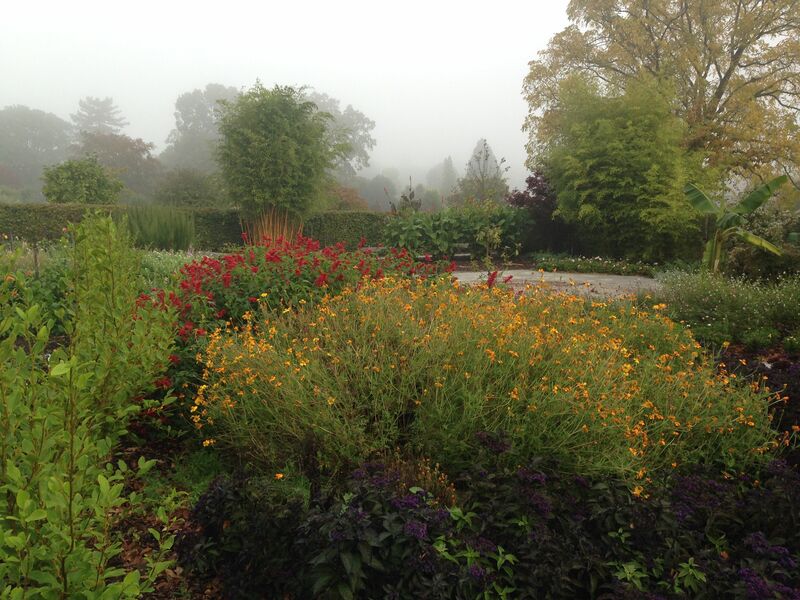 It is rare that you have the Long Borders at Wisley to yourself, even if I could hardly see from one end to the other! 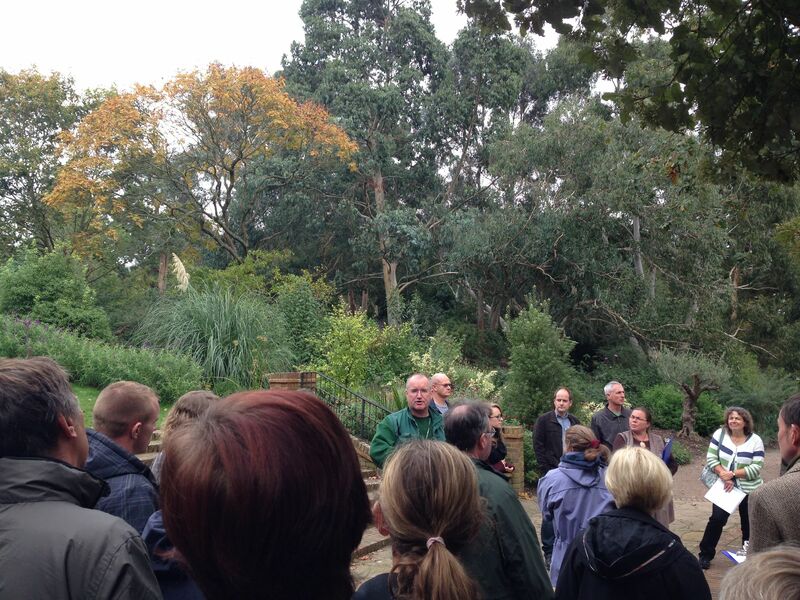 There were 35 of us starting the course this year – a much larger group than is typical. The lovely RHS staff and tutors took us through all the basics of writing assignments and dissertations; it certainly took me back to my university days of referencing journals and writing conclusions. 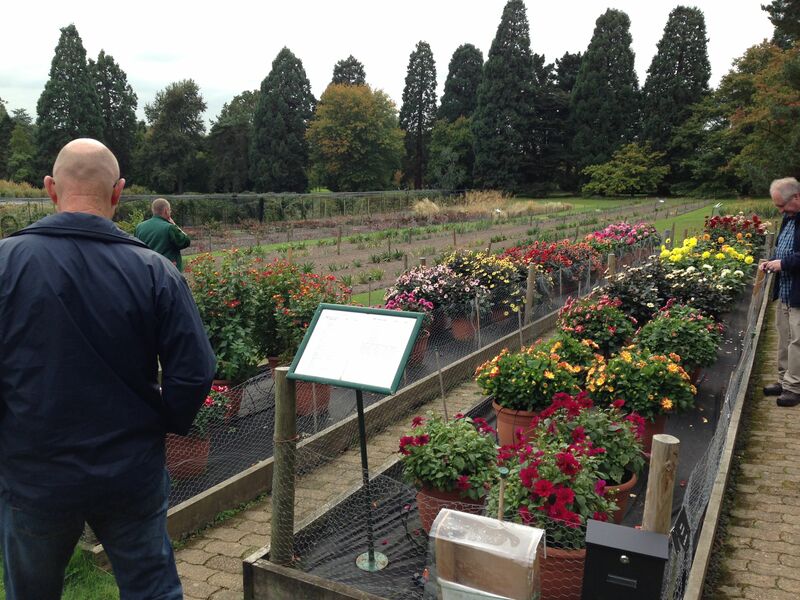 We were then given our first assignment, to explore the benefits of amenity gardens, and were lucky enough to have a guided tour of one of the country’s very best amenity gardens – Wisley! The very enthusiastic Garden Manager, Markus Radsheit, gave us a behind the scenes tour, complemented by his fantastic sense of humour. 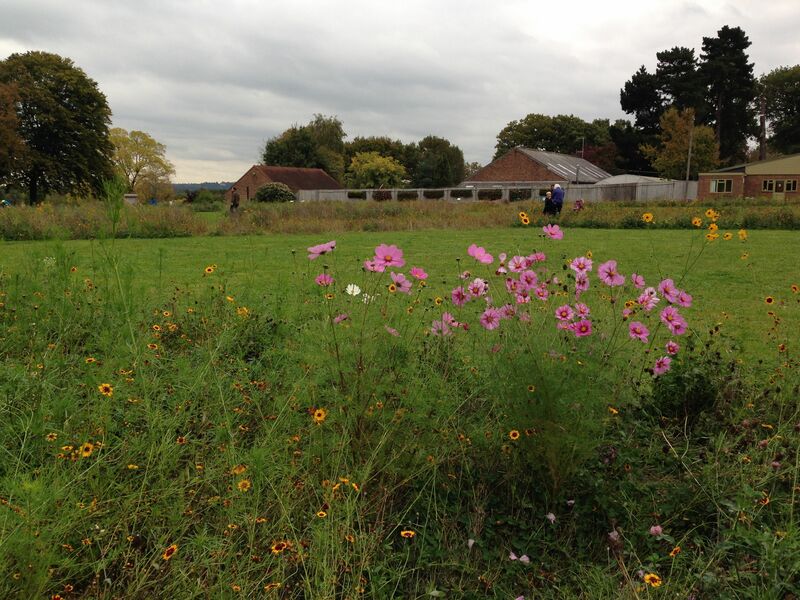 He told us about an event that was on today, where the public were invited to come to the wildflower meadows to collect seed to take home for their gardens – all part of community engagement. 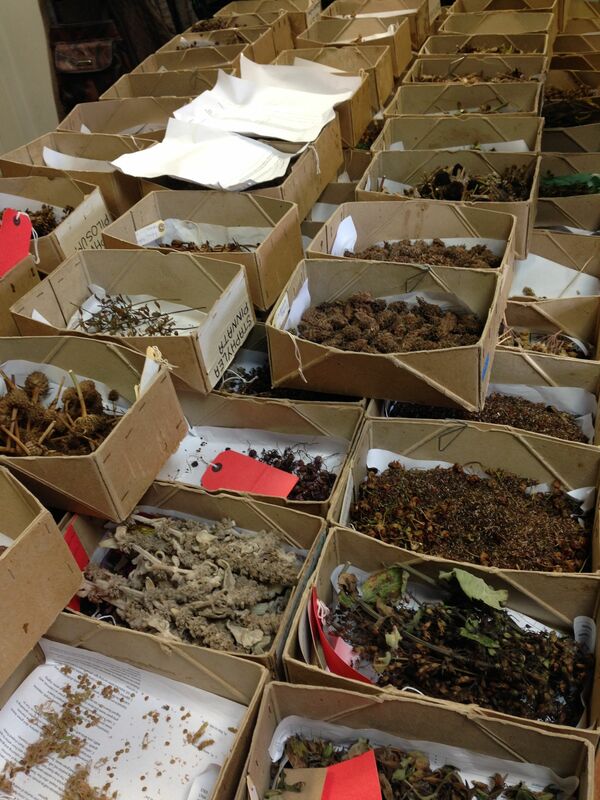 We then went into the Seeds Building, where two full time staff members collect, dry, store and post out seed to RHS members. Then we saw the trials area. 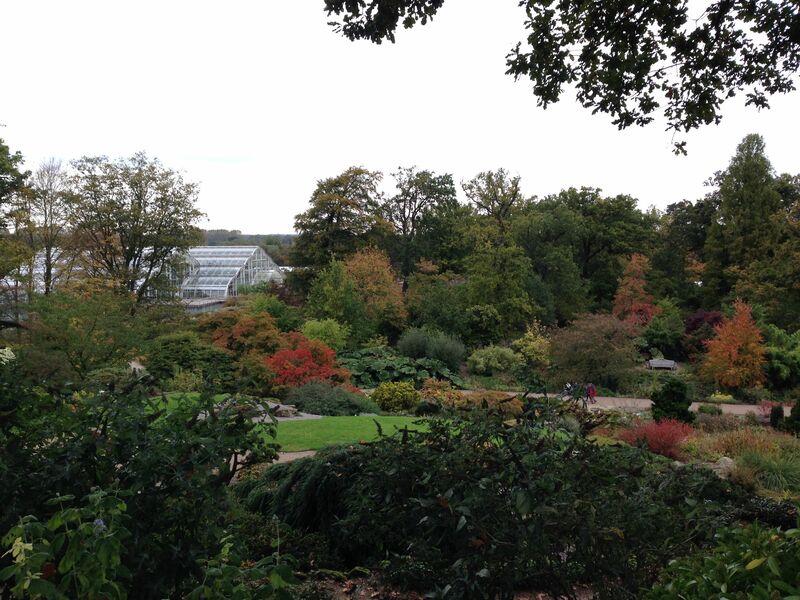 The RHS put over half a million pounds a year into trialling plants as part of their charitable aims. 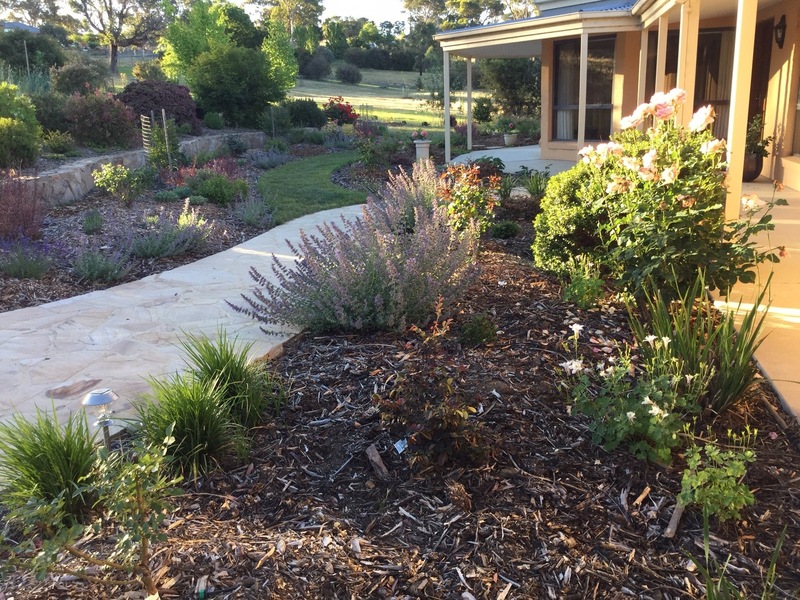 Markus feels that the trials area is the hub of the garden as it is where the RHS, nurseries, breeders, committees, experts and the public all come together in search of the very best cultivars to grow. 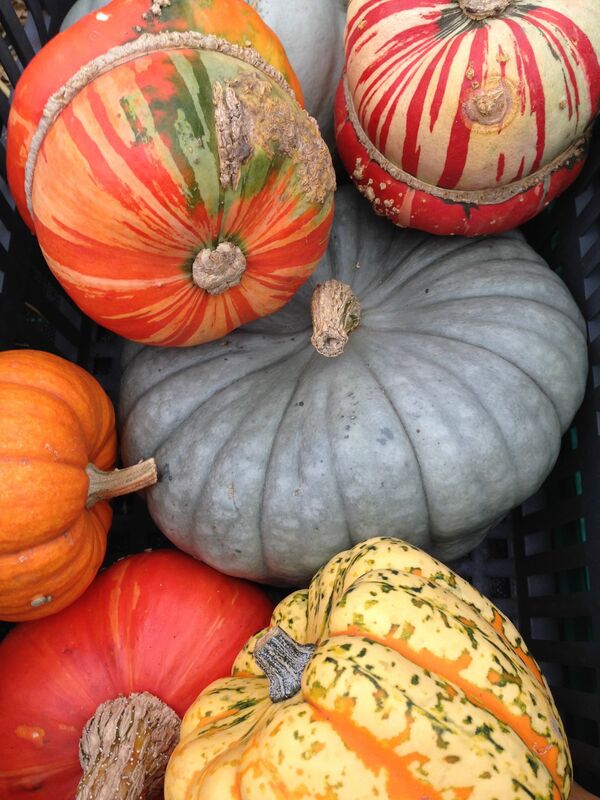 We saw the results of a recent pumpkin trial – quite stunning colours and shapes. 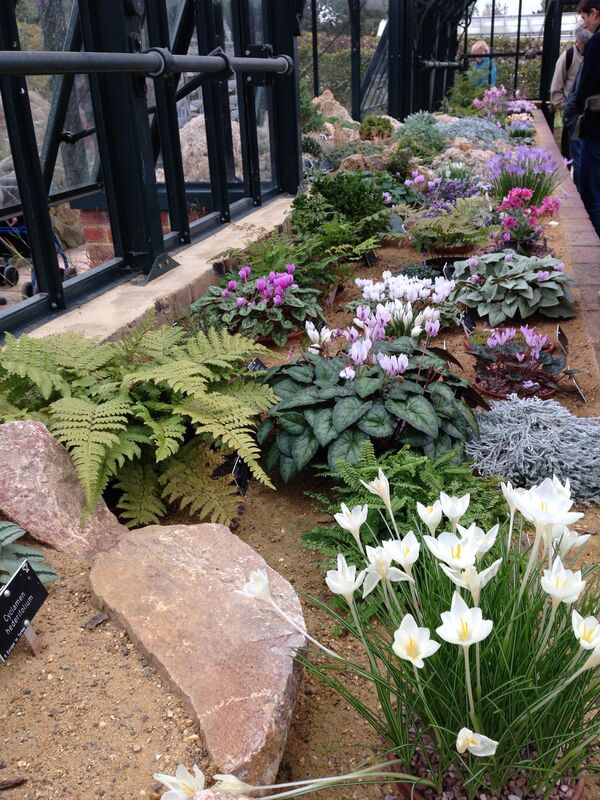 Markus then took us to the Alpine Garden, which he said is one of the biggest ‘public magnets’ at Wisley. Two small greenhouses are supported by numerous, large, back of house greenhouses, so that everything on display is at its peak of performance. 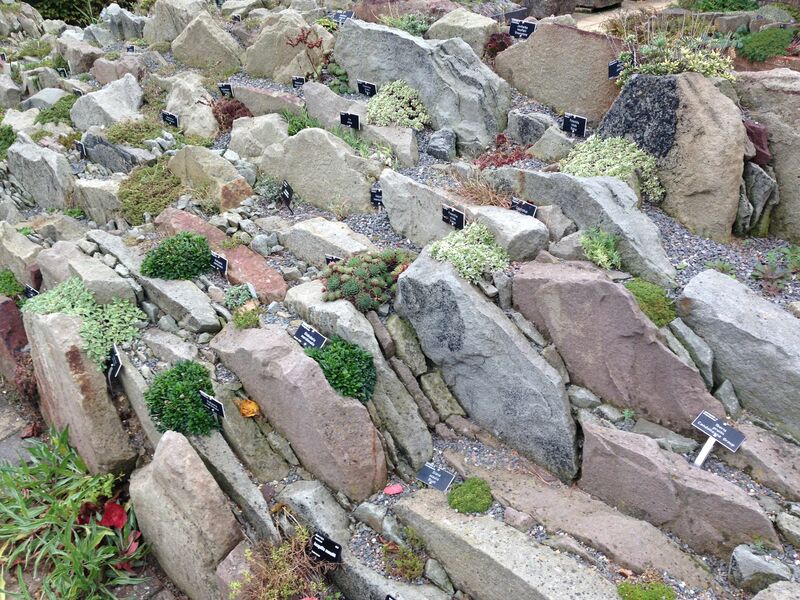 It was interesting to see the Crevice garden – tiny pockets of gritty soil showing plants from alpine regions. These are defined as areas above the tree line but below the line of permanent frost. Interestingly, this can be at 3,000m altitude in Kilimanjaro, but only 50m in Patagonia. 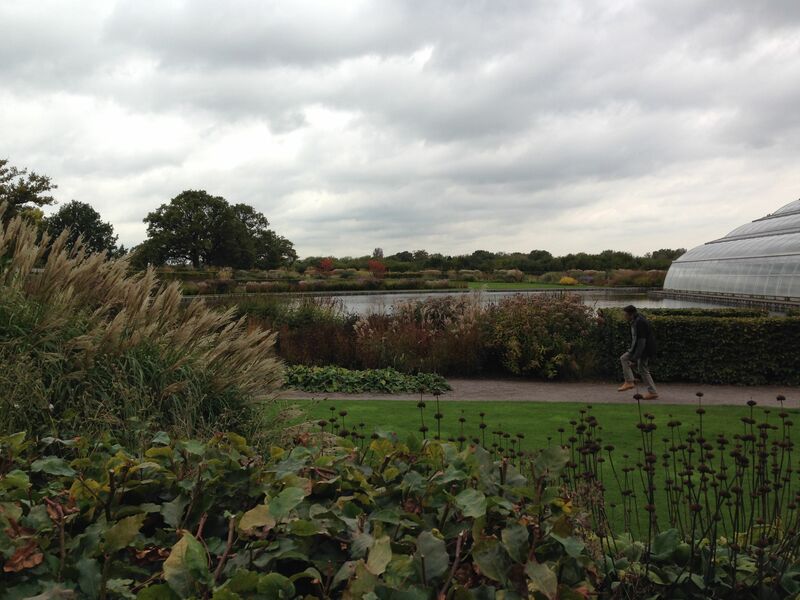 We then went up to the see the main Wisley vista. My photos do not do it justice, but I felt that October must be hard to beat for the beautiful tree colour. The metre wide Gunnera leaves near the path were quite a focal point but they sadly hardly show in the photo. The Glasshouses were opened in 2007, built around the existing lake and built with stunning curvilinear sheets of glass. They house temperate, arid and tropical plants. 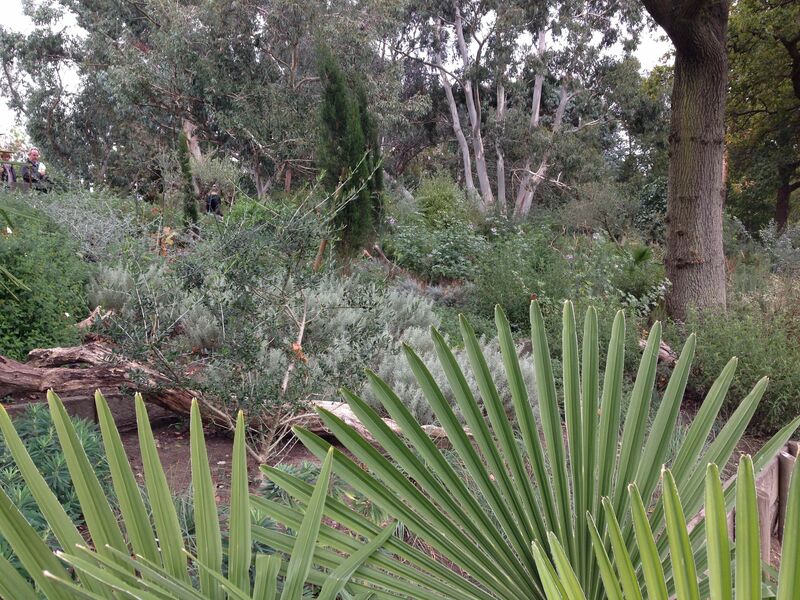 We also got to see the Mediterranean gardens, with huge Eucalyptus backdrops, Grevillea ‘Canberra Gem’ and a distinctly Australian feel. It is funny how much at home I felt in this area – I didn’t want to leave! Soon it was time to say goodbye to my new friends and as I did so my head was working at a million miles an hour, starting to form ideas about my first assignment. I hope my energy levels remain this high for the next three years! 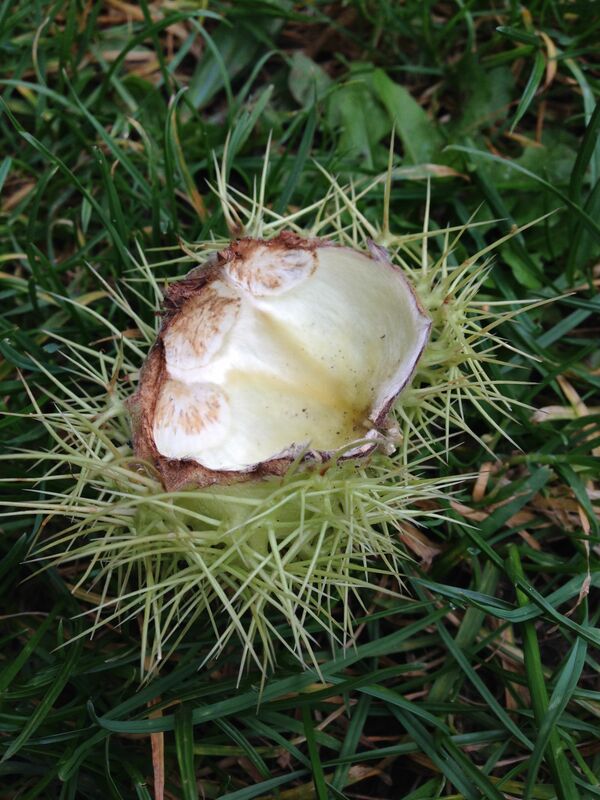 An open shell on the grass took me back to my days of conker hunting! 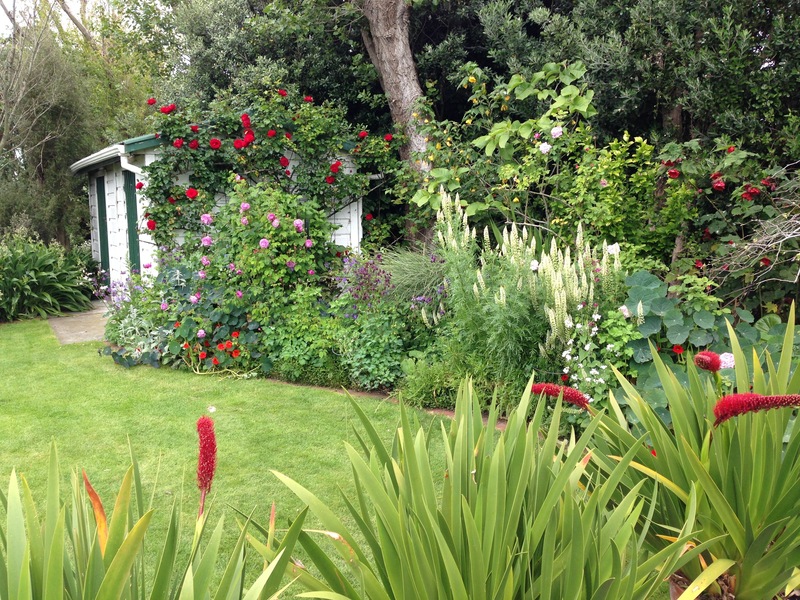 Must have been amazing Janna to start your Masters and see this amazing garden. Good luck with the course – if anyone can do it — you can! Thanks, Adriana. 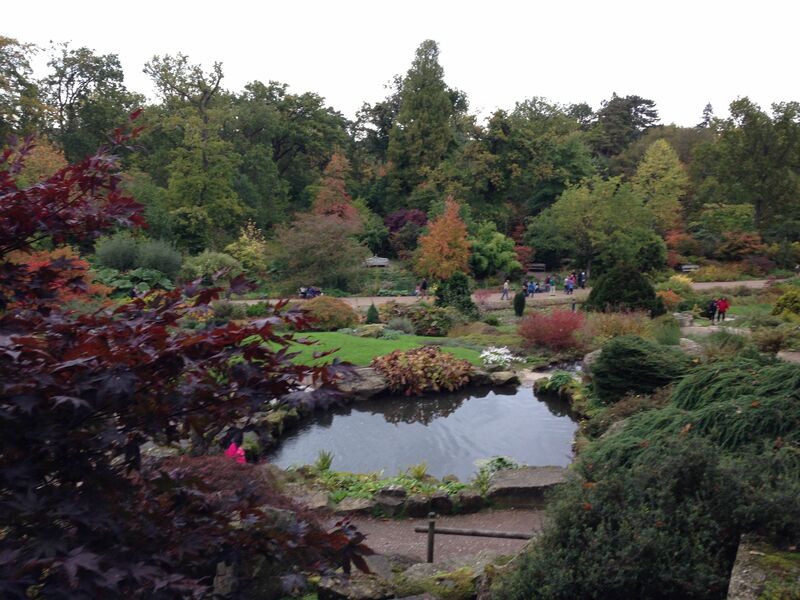 I have been to Wisley a number of times but I think autumn would have to be my favourite time of year. The trees were just spectacular.